Los Angeles, Feb 25 (IANS) The Indian flavour was predominant at the 85th Academy Awards, when “Life of Pi”, widely shot in India with Indian actors, won the maximum awards, including the best director’s trophy for Ang Lee, who not only thanked his Indian crew but also wowed everyone by saying ‘Namaste’. Another India link was “Lincoln”, a historical drama about the last few months of 16th US President Abraham Lincoln, which has been co-produced by Indian business tycoon Anil Ambani’s Reliance Entertainment and DreamWorks. However, India’s only hope – vocalist Bombay Jayashri – lost the award in the best original song category. “Life of Pi”, based on Canadian author Yann Martel’s Booker Prize winning eponymous novel, won four out of its 11 nominations at the 85th Academy Awards Sunday. 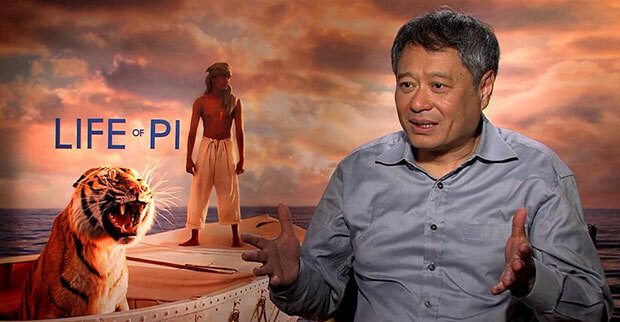 Apart from the best director’s gong for Lee, who won his second Oscar after 2005 “Brokeback Mountain”, “Life of Pi” clinched the trophies for best cinematography (Claudio Miranda), best music – original score (Mychael Danna), and best visual effects (Bill Westenhofer, Guillaume Rocheron, Erik-Jan De Boer and Donald R. Elliott). In his acceptance speech, Lee thanked his producers, “Indian crew”, technicians who worked on the movie and the film’s lead actor Suraj Sharma. “Suraj, where are you,” he asked, and the cameras panned to Suraj, a 19-year-old Delhi boy who made his acting debut with the movie. He waved at Lee with joy. Lee ended the speech with a warm ‘Namaste’. Indian singer Bombay Jayashri lost out the trophy of best original song to Adele, who took home the golden statuette for “Skyfall”. The British singer also performed at the gala ceremony. In a show of great variety, all four top awards – best actor, actress, director and film, went to different movies. The best actor trophy went to Daniel Day-Lewis for portraying Abraham Lincoln in “Lincoln”, which won a total of two awards out of its 12 nominations. The other gong was for production design. Day-Lewis is the only actor to win three best actor Oscars for “My Left Foot”, “There Will Be Blood” and now “Lincoln”. Jennifer Lawrence won the best actress trophy for her work in “Silver Linings Playbook”. The best film award went to “Argo”, which was announced by US First Lady Michelle Obama. Based on a joint CIA-Canadian secret operation to extract six American diplomatic personnel during the 1979 Iran hostage crisis, the film also got the trophy for best editing and best adapted screenplay. While Anne Hathaway walked away with best actress in a supporting role Oscar for “Les Miserables”, Christoph Waltz picked up the best supporting actor trophy for his performance in “Django Unchained”. The best original screenplay trophy went to filmmaker Quentin Tarantino for “Django Unchained”, set among the slave plantations of pre-American Civil War. Austrian movie “Amour”, about an old couple and how their life changes after the woman becomes partially paralysed, bagged the best foreign language film trophy. “Skyfall” and “Zero Dark Thirty” shared the best sound editing award, while the best sound mixing trophy was given to “Les Miserables”. “Brave” won the best animated feature film award and director John Kahrs’ “Paperman” bagged the best animated film short. Director Joe Wright’s 19th century high society drama “Anna Karenina” won the best costume design award, while the best achievement in makeup and hairstyling went to “Les Miserables”, which was also set in the same era. The award for the best documentary feature went to “Searching for Sugar Man” and “Inocente” was named best documentary short. “Curfew” won the best live action short film. "US stands with India in combating terrorism"